UPDATE (October 14, 2015) I’m happy to report that this piece, on aluminum (12″W x 9″ H x 2″D) and in a much higher resolution sold on Vango [click here for more information]. Southwest’s cattle-call methodology…once you’re on the plane, everyone’s in first class…or is that last class? 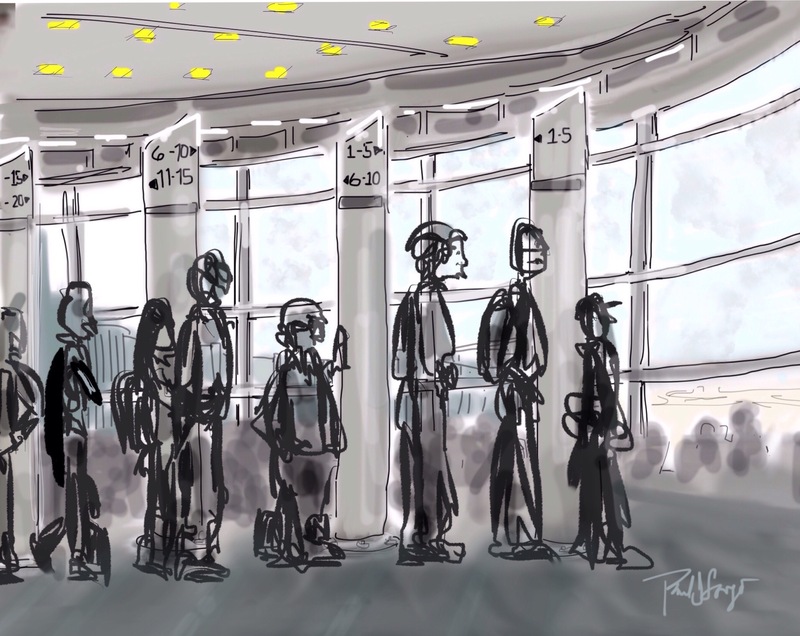 This entry was posted in Digital Artwork, iPad Art, Sketches and tagged boarding, Flight, Philly Airport, Procreate, Southwest Airlines, travel, Vangoart by portfoliolongo.com. Bookmark the permalink.